Five years ago Keith Lazarow, then an emotionally fragile addict with a suicide attempt in his past, left the family home, Coldiron House, and his controlling, abusive mother and settled in Los Angeles where he forged a sane, stable life for himself. He even discovered a gift for making money, parlaying a million-dollar poker win into a hefty personal fortune that freed him from the financial dependence that had kept him tied to his mother. When a phone call with the news of Josephine Lazarow’s death summons him home to Fairham Island, a small island off the coast of South Carolina, Keith must confront not only the consequences of his own bad choices but also more Lazarow family secrets. Keith and his sisters, Maisey and Roxanne, wonder if his sobriety will stand the test when the barrier of more than two thousand miles no longer protects him from the tensions and the memories of home. The authorities rule Josephine’s death a suicide, but Keith cannot accept that the prideful matriarch would have taken her own life. The circumstances surrounding her death (naked, in a tub, an empty bottle of sleeping pills beside her) seem particularly out of character. The local investigator is unhappy with the pressure Keith brings to examine evidence more closely with a view to homicide. Keith’s beliefs are vindicated, but the search for Josephine’s murderer opens possibilities that could prove devastating. As the investigation continues, more secrets are uncovered that could shatter the lives of the three Lazarow siblings. Meanwhile, Keith is working to restore his relationship with Nancy Dellinger, the manager of a flower shop owned by his mother and a former lover whose trust Keith betrayed. Nancy is determined not to fall for Keith again, convinced that doing so will only bring more heartbreak. 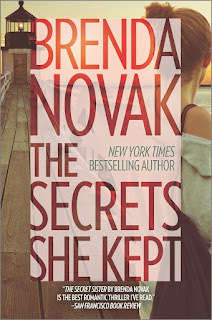 Novak continues to develop the secrets theme she introduced in the first Fairham Island book, The Secret Sister, in this second installment in the series. Like the first book, this one blends elements of conventional mystery, the gothic, and romance to create a suspenseful story that satisfies on all levels. Keith is an intriguing character, and Novak redeems him in a convincing manner. He may not have slain all his demons, but he has them under hard-won control. He is aware of the damage he caused to others in his past and does all he can to repair them. Except for one thread in the mystery, this would have been a five-star read for me. To avoid spoilers. I’ll just say that there was one betrayal I found unforgivable that the characters forgave. It was a high ick factor for me, and I had a problem getting beyond it enough to fully appreciate the ending. Other readers may find the thread less troublesome. Overall, Novak proves once again that she has a deft hand with characterization and plot regardless of the subgenre. If you like your romantic suspense closer to mystery than to thriller as I do, I suggest you add this title to your TBR list. 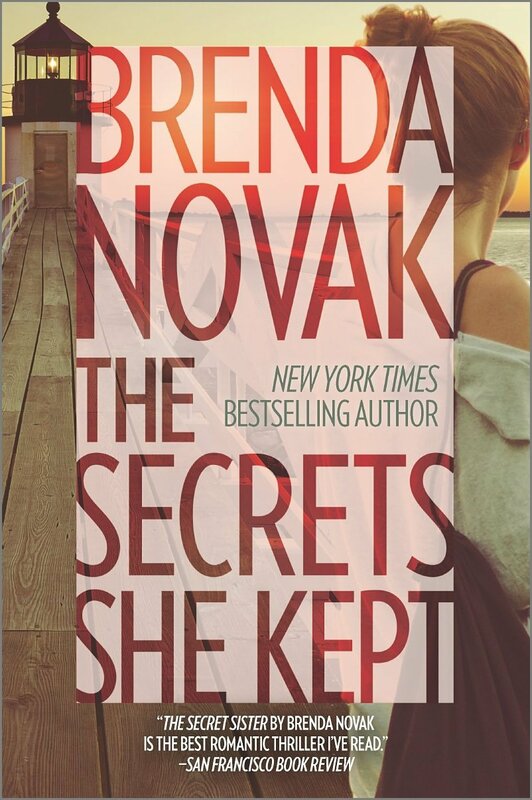 It works as a standalone, but it is a richer read for those who have read The Secret Sister. I like thrillers and mysteries and I've enjoyed her books. Curious about the ending lol. I loved The Secret Sister! I have on my kindle ready to read. Any kind of intellectual reaction and support is always get through this like blogs and article work from online. We can do our best supportive things. For a good interactive writing work support pick the details from the best blogs like this one and choose the custom top essay writing services provider for better grade.